In the work of education, teachers are usually informed about policy decisions that affect their classrooms and often engage with leaders in the decision-making process. Now we see teachers redefining their role in the education ecosystem, and for some of them, it means holding the baton to lead. Through the National Teacher of the Year Program, CCSSO supports all teachers to lead and share the story of their colleagues and students, be it in the classroom, state, or in the national government. We do this by identifying exceptional teachers in the country, recognizing their effective work in the classroom, engaging them in a year of professional learning, amplifying their voices, and empowering them to participate in policy discussions at the state and national levels. Last night the 2016 National Teacher of the Year, Jahana Hayes, became Connecticut’s Democratic candidate for the 5th Congressional Seat. If she wins, she will make history as the first African-American to represent Connecticut in Congress. Hayes is making a splash in Connecticut, with a viral campaign video “Truth to Power”, but she is just one of “150 teachers running for office” on both sides of the aisle this fall. Shawn Sheehan, 2016 Oklahoma Teacher of the Year and National Teacher of the Year Finalist, ran for the Oklahoma State Senate in 2016, and Christine Marsh, 2016 Arizona Teacher of the Year, is currently running for State Senate in Arizona. 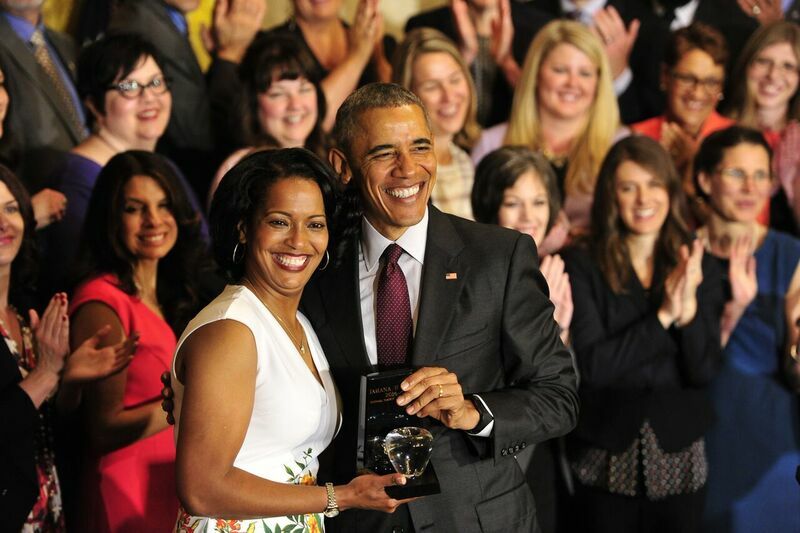 The National Teacher of the Year program, run by CCSSO, identifies exceptional teachers in the country, recognizes their effective work in the classroom, engages them in a year of professional learning, amplifies their voices, and empowers them to participate in policy discussions at the state and national levels. The role of National Teacher of the Year has been a high profile position recognized by each White House administration since 1952. As ambassadors for the profession, several have worked as Department of Education Teaching Ambassador Fellows, many work with their state chiefs on policy implementation, and now, they’re running for office. Teachers are leading and we hope they continue to spark civic engagement in local schools and communities such that each and every student has access to a teacher like Jahana Hayes.